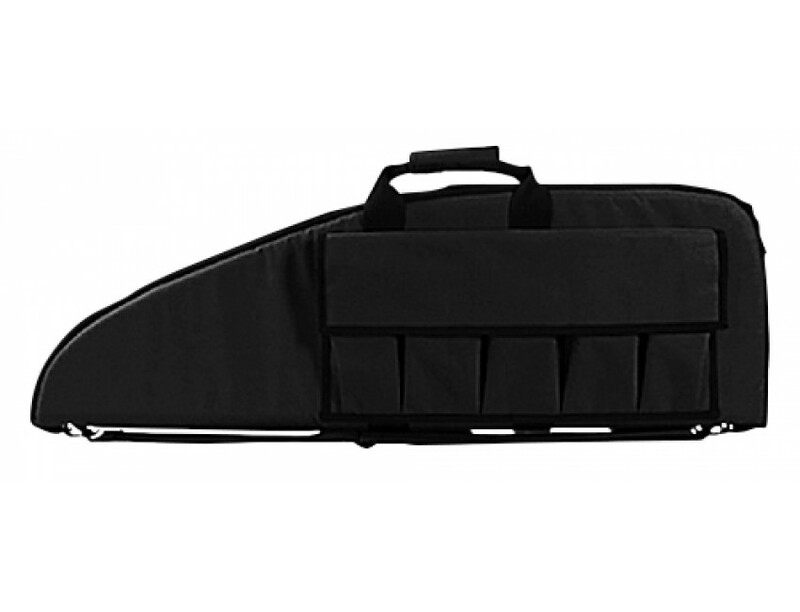 NcStar's 2907 series Rifle Case is constructed of tough PVC material and features high density foam inner padding for superior firearm protection. The outside of this 13" (OAH) case has an I.D. holder on one side and covered pockets on the other to store extra magazines and weapon accessories. The heavy duty hardware includes metal double zippers, metal D-rings, and carry handle straps with hook and loop flap. For a proper fit, NcStar recommends a case at least +2" longer than the firearm's overall length.